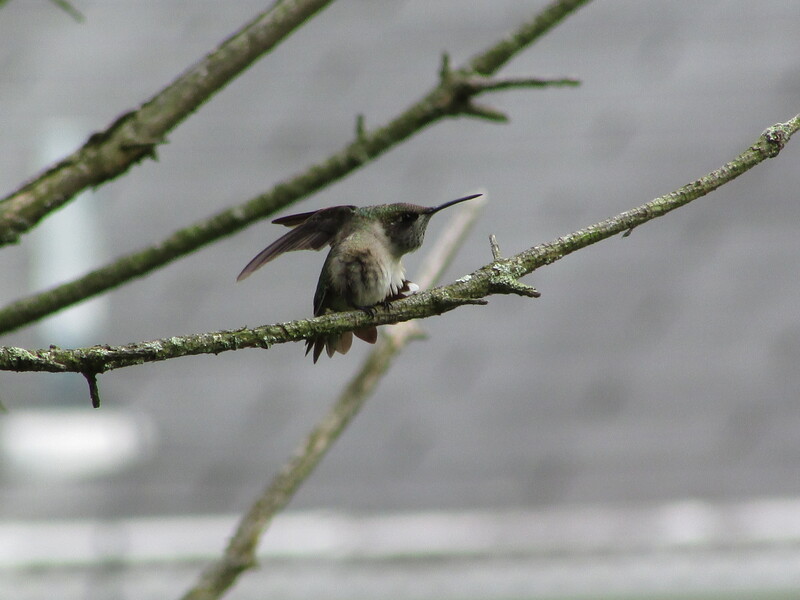 I often see hummingbirds in my yard, usually sipping nectar from flowers, but by the time I get my camera they disappear. 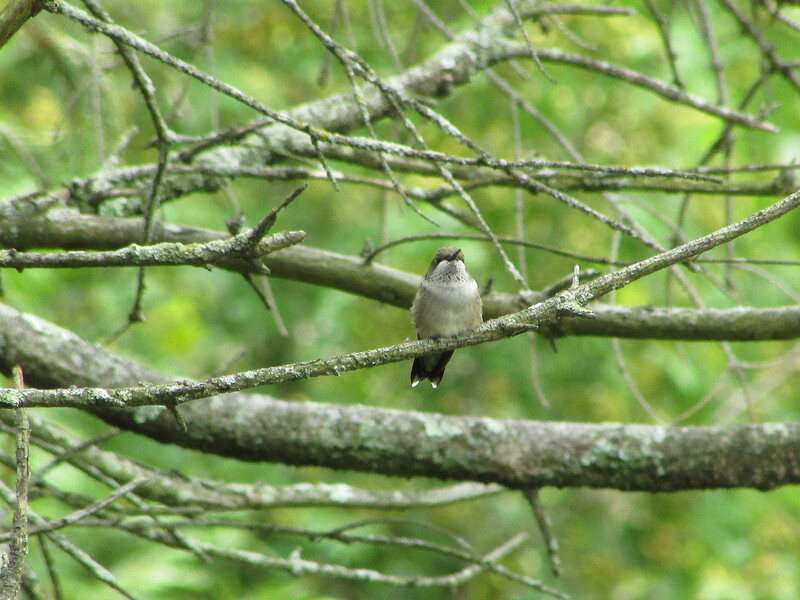 Yesterday, I was lucky and had camera in hand when I spotted a hummingbird land on a bare branch in the pine tree. Being able to photograph this beautiful and very fast little bird, was, for me, epic. That brings me in a roundabout way to a new blog challenge I’m taking part in on the Pix to Words blog. Why is it the perfect day to take part? Well, the photo I took might be ordinary to you, but it is EPIC for me, and that is the challenge word for the week. A big thank you to everyone who takes time to offer challenges for bloggers to take part in. Maybe something epic is happening in your week too. This post is part of Skywatch Friday. And thanks to you for opening up the challenge. Wonderful photos. Yep, they are so hard to capture. The just won’t sit still long enough!! 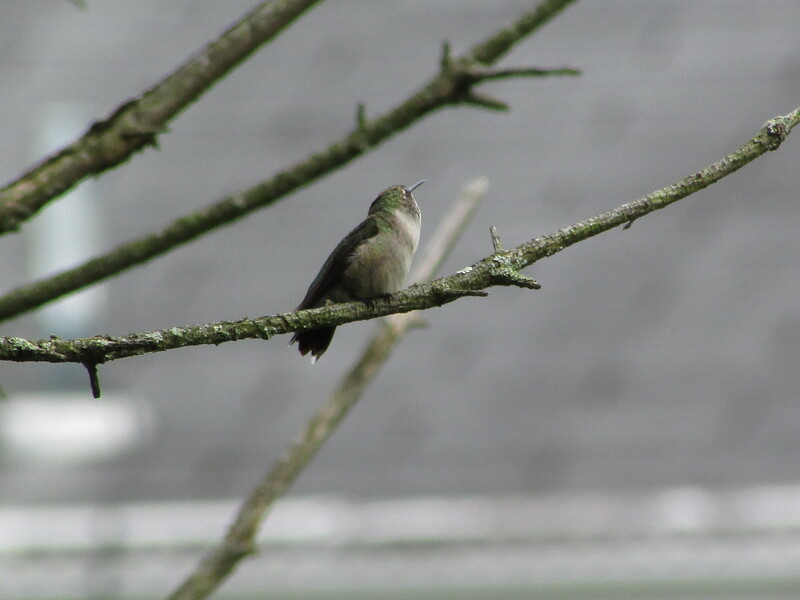 Capturing a hummingbird on film is epic! Congratulations. I missed a shot this week but it was worth it to see the little lady with butterflies around her. I miss so many shots…this was a lucky moment for me. Most of the photos I took were blurry, but these turned out well. It’s hard to tell how small the bird is in these photos since nothing is nearby for scale. How lovely to see such delightful birds. We don’t have them here in Australia. They are amazing…thanks for stopping by the blog today.